Factor returns with a follow up to 2013′s Woke Up Alone. 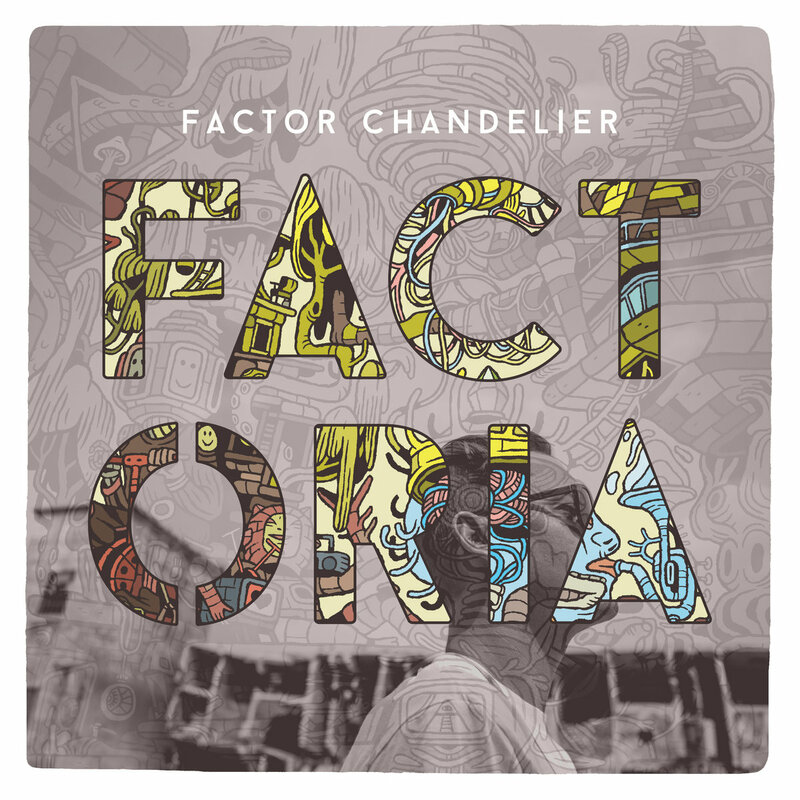 Now going by the name Factor Chandelier the name is not the only thing that’s changed. While previous albums from the Saskatoon producer have been packed full of vocals this album interlaces dreamy instrumentals with raps that are strong on hooks. While Woke Up Alone had a solid concept this album is more a homage to the ruins of the failed city of Factoria which lie under the residential subdivision of Silverwood Heights in Factors hometown of Saskatoon, Saskatchewan. Musically Factors sound has been changing for a while, early albums were heavy on looped samples, more recently he has been putting together music that is layered with drum beats and original guitar and keyboards. This album has an industrial sound to fit the Factoria theme but it’s more of a rhythmic industrial than abrasive. At first I was a little disappointed this album did not feature more vocals (there are a few regular contributors such as Def3 and Moka Only missing) but the balance between instrumentals and raps works well. All the songs have strong hooks. Climb Back Down with Merkules (I only recently realised his name is a play on hercules) in particular surprised me. The only disappointment with this album is that it is much shorter than previous Factor albums. It’s 13 tracks but most are around the two and half minute length. That does mean there is no filler and nothing drags on so it’s a strong candidate from replays. You can get the album on Factors Bandcamp page where there are still a number of different packages available.